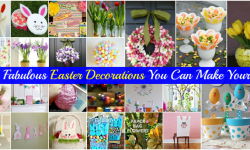 We are still a couple months away from Easter, but this is one of the best holidays of the year to break out your crafting supplies. 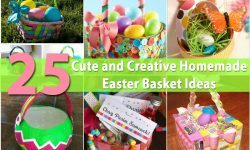 There are so many different fun, easy projects you can make to celebrate this springtime holiday. So it is never too soon to get started. 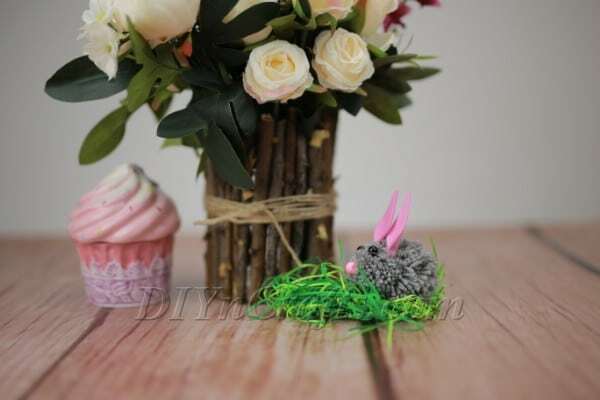 In my video tutorial today, I will teach you how to make a cute Easter out of a couple of pom poms! 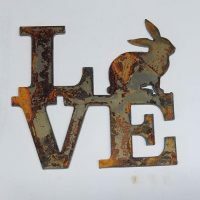 The materials which you need for this project are really simple, and you may already have most of them waiting for you in your craft room. 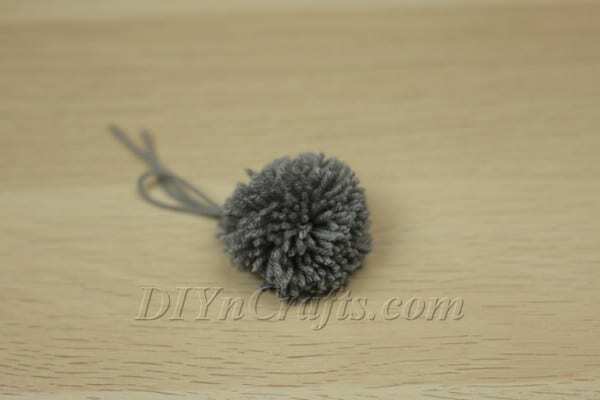 If you want to save time on your project, you can purchase pom poms pre-made from your local craft store. Personally, I think it’s more fun to make them from scratch. 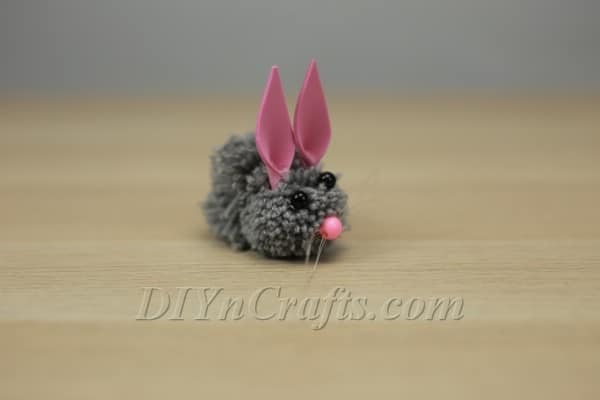 This allows you to choose any color of yarn you like, and make your bunny as large or small as you wish. 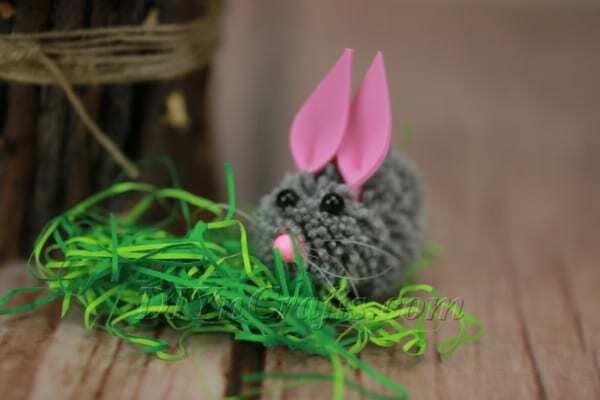 For the bunny’s nose and eyes, I used faux pearls in black and pink. If you do not have those, you could go wisth any small, round beads in the correct colors. Take note that the pink bead you use will need to have a hole through the middle for running thread through (like the standard type of bead you would use for a beading jewelry project). 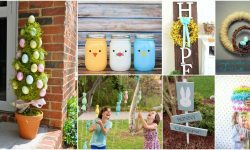 The rest of the craft supplies needed for this DIY Easter project are pretty straightforward. 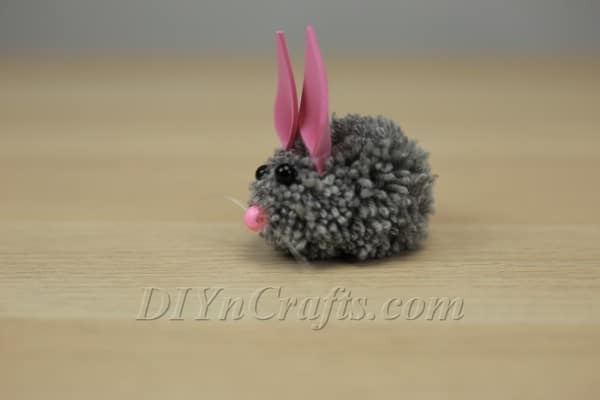 If you’re ready to start making a handcrafted Easter bunny out of pom poms, find the list of materials and tools you will need in full below, along with the written instructions and video tutorial. 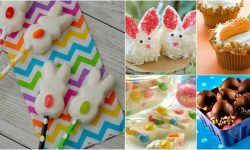 Looking for an easy way to make a cute Easter bunny? 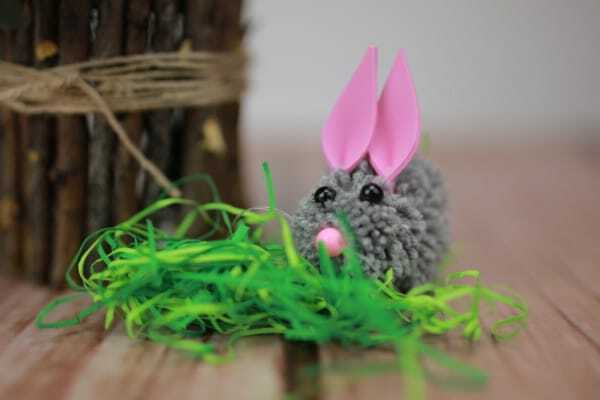 In this Easter craft tutorial video, I show you how you can make an adorable bunny to welcome in the spring season out of pom poms. It’s a fun and simple craft anyone can make. Check it out, and enjoy! For this project, you are going to need to make two pom poms. 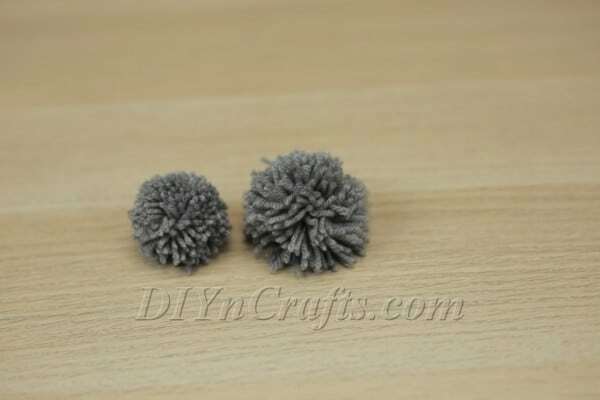 Select a color of yarn that you like (I went with gray), and get to work on making your first pom pom. To begin, spool the yarn around your fingers a number of times as you see in the image below. After you have completed the step above, tie a piece of yarn around the middle of the spool you have created in order to tightly bunch it together in the center. 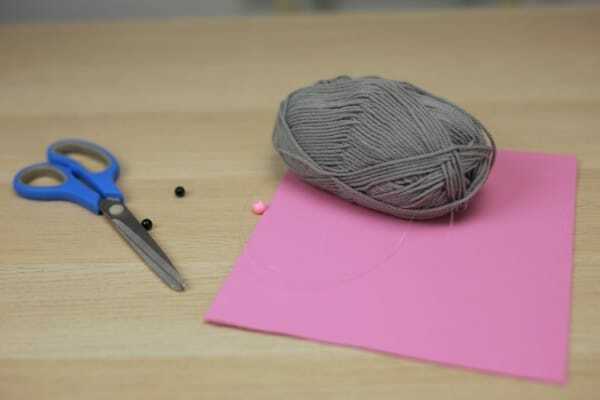 Cut through the loops of yarn so that you get a ball with loose ends sticking out on all sides, as pictured. 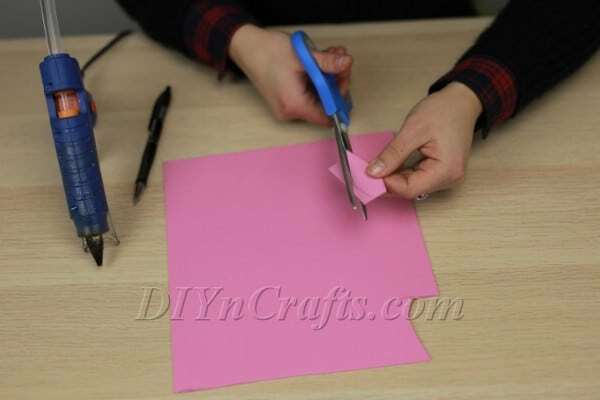 Next, use a pair of scissors to carefully trim the ends in order to make them even and get a nice, neat appearance to your pom pom. You will now need to make a second pom pom. This one needs to be either slightly larger or smaller than the other. It really does not matter in which order you tackle making these. All that matters is that when they are both completed, there's a slight size difference between them. One of them will be the bunny's head, while the other will be its body (the smaller one is the head). 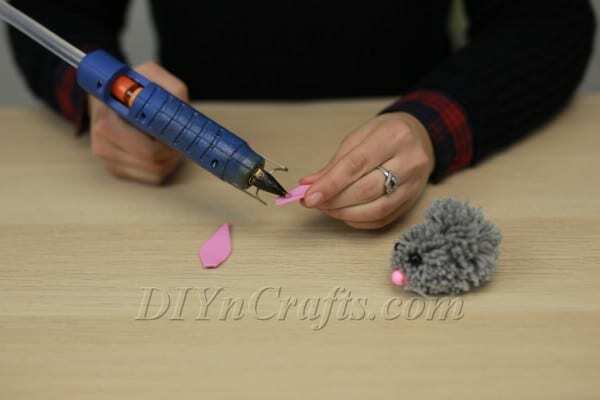 Use a hot glue gun to attach the two pom poms together. 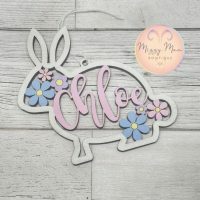 You can now use the hot glue to attach the two black pearls or beads serving as the bunny’s eyes as well as the pink one you have selected for its nose. Before you glue on the nose, run some fishing thread through it a few times to create the whiskers. Use a dab of glue to keep the thread from falling out. 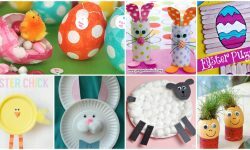 At this point, your Easter bunny craft project is nearly complete. The only thing left to do is make the bunny's ears. 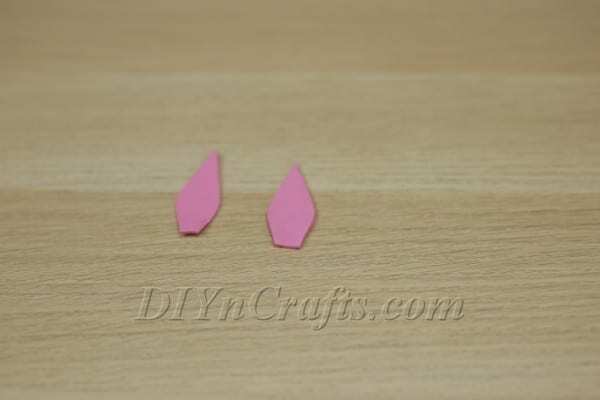 To do this, simply cut out two ear shapes from pink foam sheets or any similar material that you might want to use. 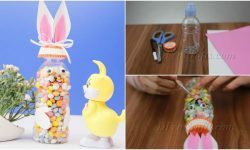 Finally, you can wrap up this project by using hot glue to attach the bunny's ears to its head. 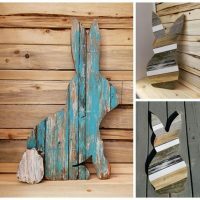 You can now put your Easter Bunny on display. It is so adorable! 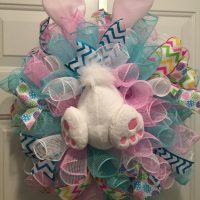 You now know how you can make a lovable Easter bunny out of nothing more than a couple of pom poms and some other simple materials! It will probably only take you a few minutes to bring your Easter bunny into existence. 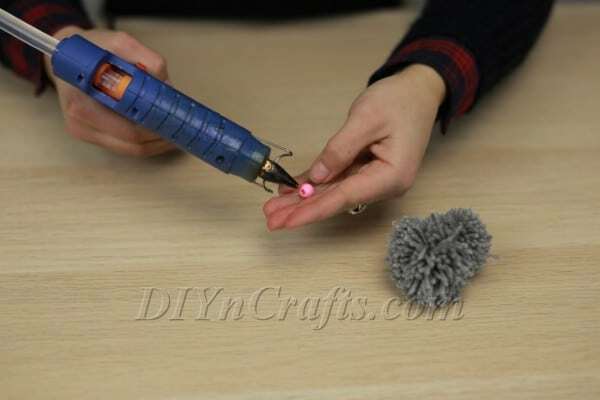 This is a project which children can work on as well, so long as you supervise them with the hot glue gun. 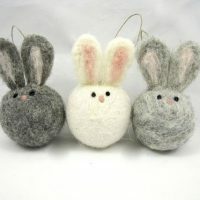 Once you have finished making your Easter bunnies, you can not only display them around the home, but also gift them. If your children are not working with you on the project, you could surprise them with these in their Easter baskets. 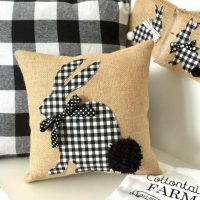 They also can make cute gifts for friends, family members, and co-workers. 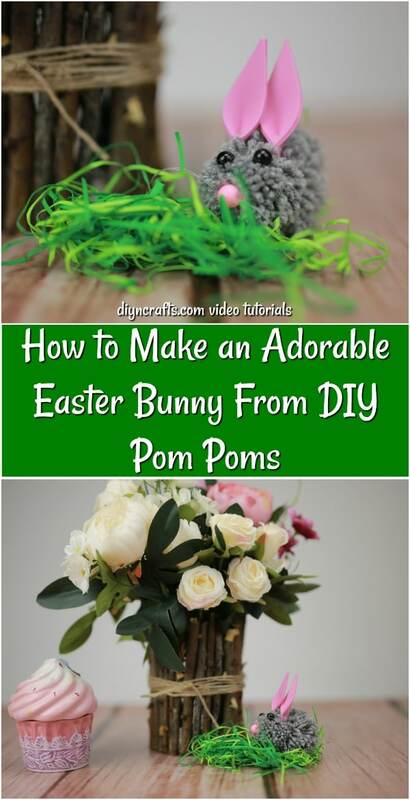 If you enjoyed this pom pom Easter craft, make sure you keep up with our upcoming video tutorials, as I am going to be sharing a lot more Easter crafts with you soon. 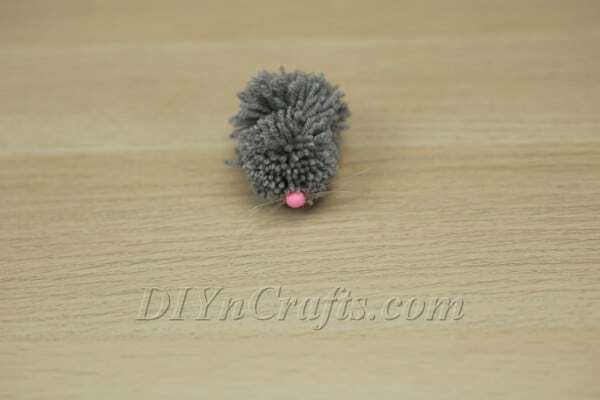 You also should check out some other pom pom crafts I have shared with you in the past. Learn how to make a rug out of pom poms and more! Fabulous…. a lovely activity to do with the kids. The best is yet to come 🙂 Stay tuned for more Easter projects.